Plastic recycling is one of the major topics that are being discussed worldwide. Before discussing about plastic recycling, we shall talk about what plastic is, what are the different types of plastics, forms of plastics etc. then we shall move on to steps of plastic recycling, advantages & disadvantages of it. The term plastic comes from a Greek word plastikos which means able to be shaped. The first ever synthetic plastic was made by Leo Baekeland in the year 1907. Plastic is synthetic or semi synthetic material made from organic polymers. The polymers are mixed with certain type of additives like plasticizers, fillers, colorants and stabilizers. All these affect the chemical composition, properties and cost of plastics. Thermosetting polymers : These are commonly known as thermosets. When they solidify, permanent shape is formed. They also have a infinite molecular state. Thermoplastics : These can be remolded over and over again. The molecular weight is comparatively lower than thermosetting polymers. They also have a partially crystalline structure. Since plastics are lightweight, durable and inexpensive, its production is increased considerably. So its recycling is to be given utmost importance as it non biodegradable. Plastic recycling is a process of recovering scrap and waste plastic which is remodeled into a new useful product. A totally new product arises out of recycling and this cannot be recycled again. Majority of the plastics can be recycled. 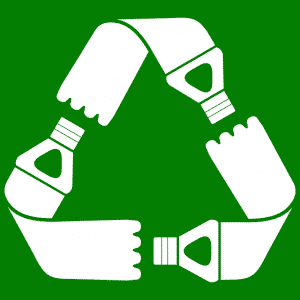 Plastic recycling is one of the major industries in recycling. This is one of the most common varieties of plastic that is easily available. Some of the examples of PET are medicine containers, soda bottles and other consumer product containers. These can be recycled and is used to make life jackets, beanbags, winter coats, plastic bottles, rope and tennis ball felts. These are heavy containers that include motor oil bottle, bleach bottle, shampoo containers and so on. These type2 plastics are mainly recycled into piping, toys and truck bed liners. This type of plastic is in great demand for recycling. An important content named polyvinyl chloride is contained in type 3 plastics. This is mainly used in shower curtains, medical tubes, plastic pipes and vinyl dashboards. It can be reused and recycled into vinyl flooring, piping and even window frames. These are thin and flexible plastics. It is mainly used for making wrapping films, sandwich bags and grocery bags. All type of soft wrapping and packing materials are made with this. These are stronger type of plastics that are used to make food containers and plastic caps. Polystyrene is commonly known as Styrofoam. This is commonly used for making meat trays, coffee cups, packing of chips and peanuts and insulation. Usually very little is recycled and are often used and thrown. These types are a combination of a different type of plastics or a unique formulation of plastics. Most of them are impossible to recycle. After collection of plastics, it is carefully sorted as per the different type as mentioned above. The sorted plastics go to the respective industries for recycling. This is the second step in the recycling of plastics. After sorting the plastics are properly washed and cleaned so as to remove the impurities, labels and adhesives. After a thorough cleaning, these sorted plastics are broken down into small pieces. This shredding is done by technically advanced machines through a process named agglomeration. After shredding, these are again tested, classified as per there quality. This is a process of melting of the shredded plastics so that it can be molded. The melted plastic is cooled in water and then turned into pellets. This makes it easier to make the new product. The final manufacture of the product is done by a process called injection molding, stretch blow molding and many other process at high pressure. Thus a new product is formed. That is a very good question to us. Why do we recycle plastics? Let us see why we need to recycle plastics. This is one of the major reasons for the recycling of plastics. Since it is found in abundant and due to its bio degradable nature, its recycling is important. This can reduce pollution to great extend. A lot of recycling units will be setup by the recycling industry which in turn creates a lot of job opportunities. Since it is a long chain from collection to delivery of products, a lot of people gets job in this process. The dumped plastics are taken to the recycling industry. This reduces the amount of waste in the landfills. This becomes very beneficial because this considerable reduces land, air and water pollution. Recycling saves the use of new resources. This is because no new resources are used for the recycling process. The existing resources are reused to make a new product. The dumping of waste and burning emits green house gases like carbon, nitrogen and sulphur which triggers global warming. Plastic recycling reduces this to a great extend as a lot of plastics are being recycled instead of being dumped. As very little waste is being dumped, it increases the cleanliness of the surroundings which has a very positive impact on the environment. This is a great protection to the biodiversity as whole. recycling produces pollutants after the breaking down of plastics. it is not cost effective and usually incur a huge loss. recycling does not guarantee good quality for the products. a lot of factories need to be set up for the recycling of plastic waste as the amount of plastic to be recycled is infinite. the jobs created by these recycling industries are of low grade and quality. the value given to the recycled products is low and are always looked down upon. In the modern day scenario, recycling of products are essential considering the overall benefits. Due to the considerable reduction of resources due to continuous and overuse, recycling should be given utmost importance. Plastic pollution is global issue that has to be dealt with proper planning and care. The use of plastics has increased drastically over the years which have begun to accumulate. So recycling is the only option left to reduce the severity. Proper technical advancement should be given priority so as to reduce the harmful effects of recycling. Steps should be taken to check and improve the quality of recycled products. 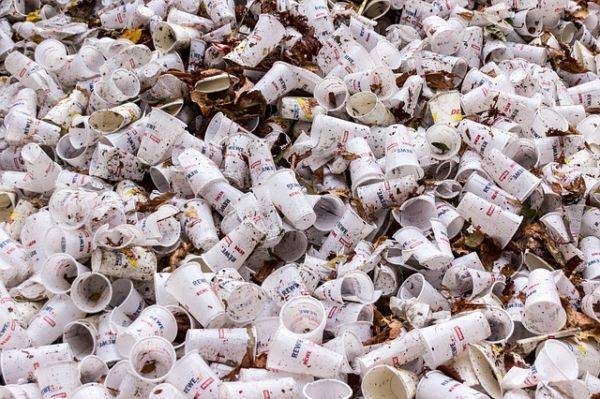 Incentives with attractive schemes should be provided by the government to start recycling units so as to reduce plastic waste. Awareness should be imparted among citizens so that they have proper knowledge about the methods and benefits of recycling. More people should be encouraged to purchase recycled goods. So thus to conclude recycling is the only way to save the mother earth from plastic pollution.